Best CBD Oil Reviews UK 2019 - Where Can You Buy It? 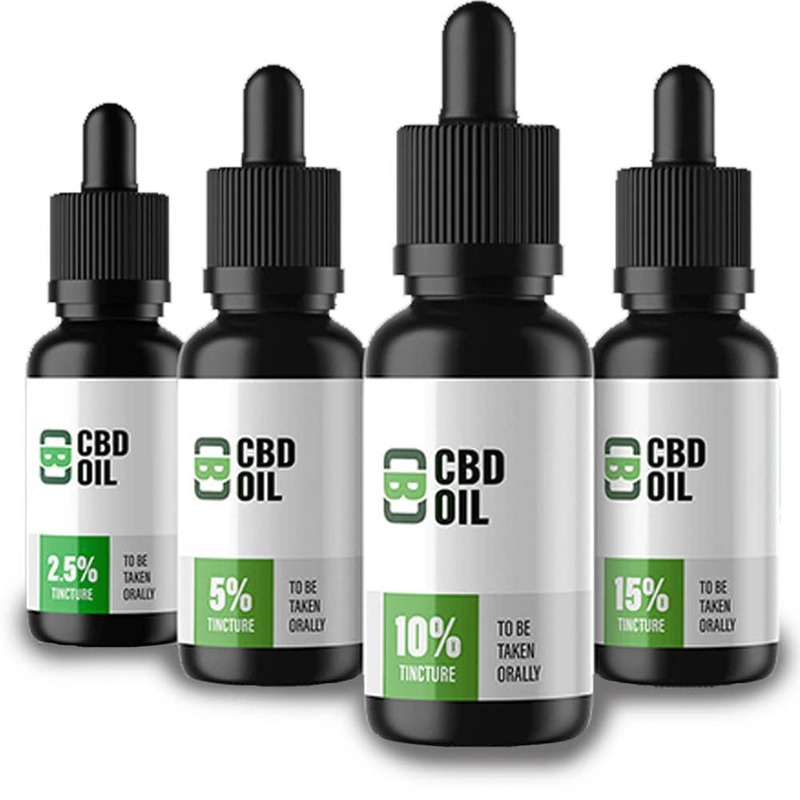 Best CBD Oil Reviews UK 2019 – Where Can You Buy It? CBD oil has caused quite a buzz over recent years. This is all thanks to its increasing reputation as being an effective natural remedy for numerous disorders. CBD oil or oil derived from Cannabis Sativa hemp plants has been clinically proven to reduce pain and inflammation, calm anxiety and even slow progression of neurodegenerative diseases. As it has just been recently legalized in the United Kingdom, you would only want to try the best CBD oil in the UK. 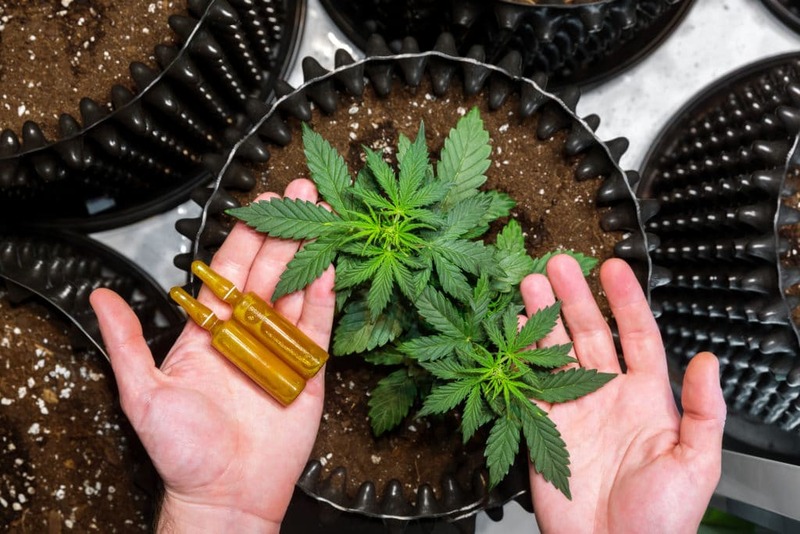 Because CBD oil is new the market, there are still very few regulations regarding what makes a high-quality product and what claims manufacturers can make. Therefore, you’ll need to be a smart shopper. 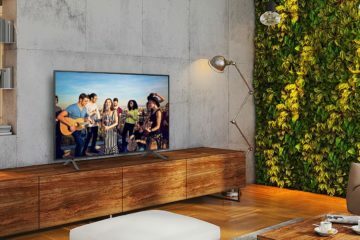 With so many products to choose from, it is quite difficult to determine which brands are effective and provide value for money, and which are not. But don’t worry. In this CBD oil UK review, we bring you our top 7 CBD oil picks on the UK market, so you can find the right one for your needs! What Is CBD Oil & How Is It Made? Love CBD is our favourite CBD oil. It is extremely easy to use and you only need one spray under your tongue for a 16mg dose of CBD. While it’s true that the price may be a little off-putting, it actually works out at the average market price once you consider the dose strength. With as much as a whopping 2,000mg per bottle, Love CBD Oil is one of the strongest in our selection which makes it great for both experienced users and beginners. As a full-spectrum oil with the full range of cannabinoids and terpenes included, it is suited to a wide variety of uses, from relieving aches and pains to soothing anxiety. 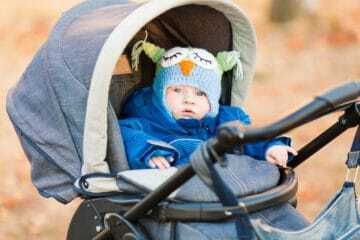 Thanks to its high strength, the chances are it could provide you with the relief that you’re looking for, no matter what your reasons for using it are. That said, as great as this oil is, we think it would appeal to more customers if the hemp plants were organically grown and they offered some alternative flavours for beginners. 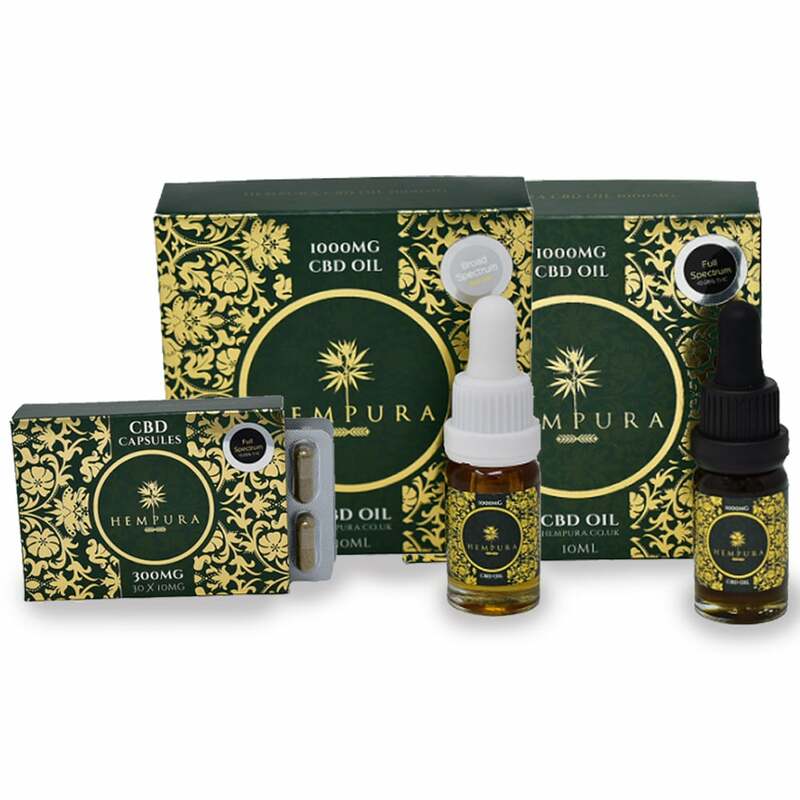 Hempura Full-Spectrum is one of the leading raw CBD oil in the UK. This brand produces high-quality products. Hempura comes in a variety of strengths, 250mg, 500mg and 1,000mg (which is an incredible 10% CBD oil). We were impressed with the variety of strengths on offer as this enables you to build up your dosage gradually. For example, if you start with the 250mg strength, you can slowly increase your intake by starting with a drop (1.25mg), and working up to two drops (2.5mg) and three drops (5mg) respectively. Once you become more experienced, you can move up to the next strength as required. We were also impressed by the rigorous screening and selection process that goes into making every bottle. They provide laboratory certificates for each batch that they produce so you can check exactly what’s in your bottle. This means you can have full confidence in their production process and in the product itself. As an additional benefit, their oil is only made from organically-grown Cannabis sativa hemp plants that are completely free from pesticides. 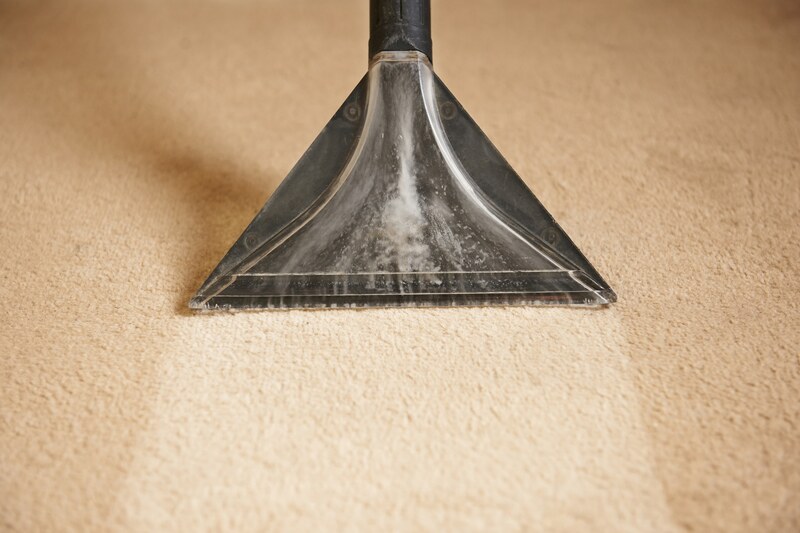 It is produced within the UK and subject to an ultra-filtration process, ensuring you only get the finest quality. Finally, as a full-spectrum CBD oil, it contains a wide variety of cannabinoids for an enhanced, so-called “entourage effect”, complete with added terpenes. Overall, Hempura is an extremely safe and strong CBD oil that is a great choice for beginners and advanced users alike. 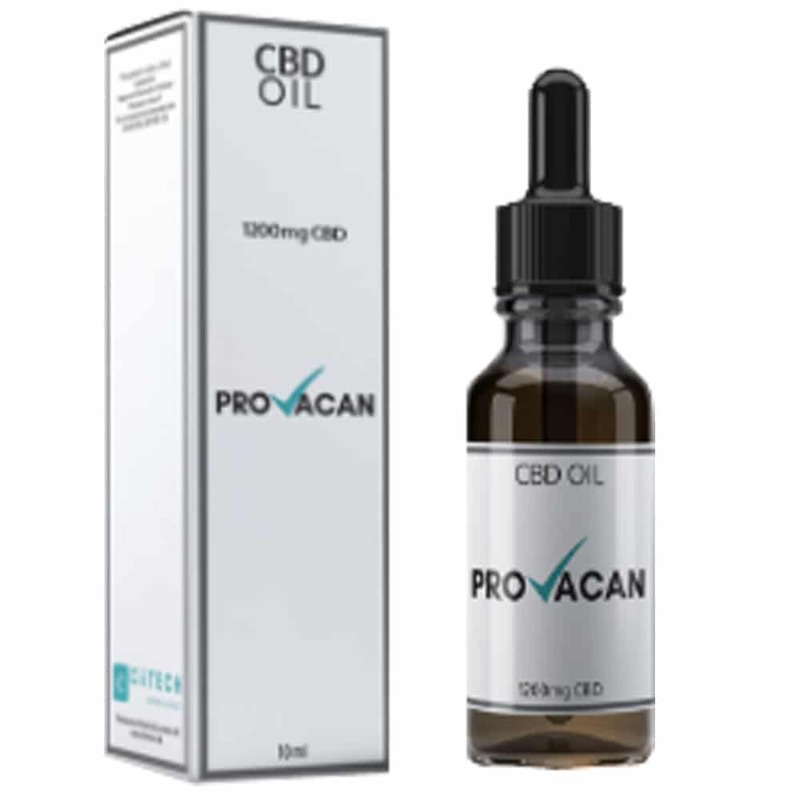 Provacan contains 600mg of CBD. It’s a highly respected brand with close links to advanced cannabis research organisations. In fact, it is one of the highest quality CBD oils available, backed up by scientific research and a loyal customer base. If you’re new to using CBD oil, you should find this oil extremely easy to dose, with each drop containing a generous 3mg. This strength will be more than enough for most people. However, we would like to see this oil available in a wider variety of strengths. It currently only comes in 600mg or 1,200mg 10ml bottles. 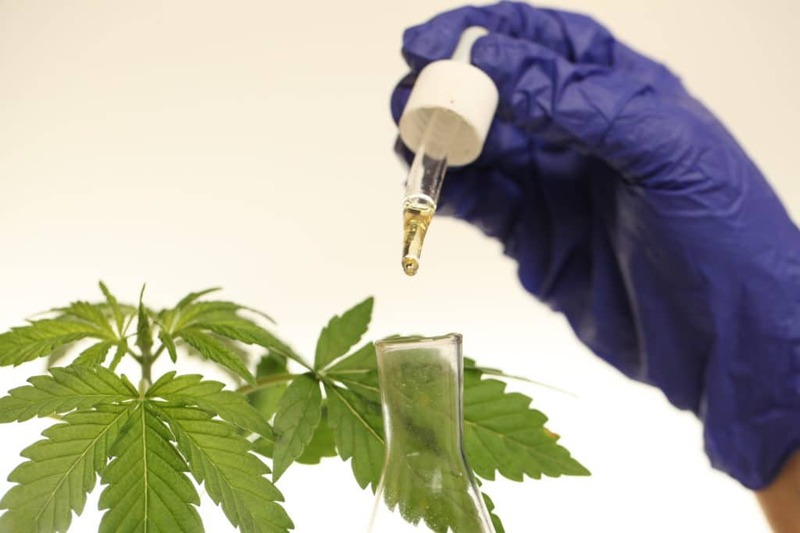 Provacan has scientific research to back up their CBD oil results, as well as having a highly-controlled production process to ensure the highest standards are met. There’s no need for you to worry about quality with this CBD oil. All plants are non-GMO and are cultivated in the EU, in accordance with stringent agricultural directives. Because this company uses a CO2 extraction process, it is extremely high-quality and does not need any further additives. It also boasts an enhanced “entourage effect”, thanks to full-spectrum active cannabinoids and a boosted terpene profile. As an unflavoured raw CBD oil, it may not be to your tastes, to begin with. However, it’s definitely worth a try. Many users found it was much smoother than other CBD oils, with a slightly lighter, mellower flavour. CBD Asylum is a British company that produces some of the strongest oils on the market. For this review, we used the weakest strength at 250 mg, but you can also purchase it in strengths of 500 mg, 1,000 mg, 1,500 mg or an impressive 2500mg depending upon your personal needs and user experience. However, all strengths only comes in the standard 10ml bottle, meaning it may be better if you go up a strength or order larger quantities if you find it’s not lasting long enough. Unlike most of the other high strength CBD oils around, Asylum does not contain the full cannabinoid spectrum often referred to as creating the “entourage effect”. Instead, it uses pure 100% CBD oil extracted via a CO2 process. This is then combined with pure organic virgin hemp oil and added full-spectrum terpenes. The benefits of taking the full-spectrum of cannabinoids are increasingly acclaimed, however, certain people and certain conditions may benefit from a pure CBD isolate. With the added full-spectrum terpenes it contains, This oil can be seen as a hybrid solution and if you’re not having much luck with your current CBD brand, we definitely recommend giving this a try. All in all, this is a powerful CBD oil that offers good value for your money. On the downside, some users mentioned that the taste was an issue – although we didn’t find it to be particularly unpleasant. This oil by CBD Life is the best cannabis oil if you’re looking for rapid pain relief. 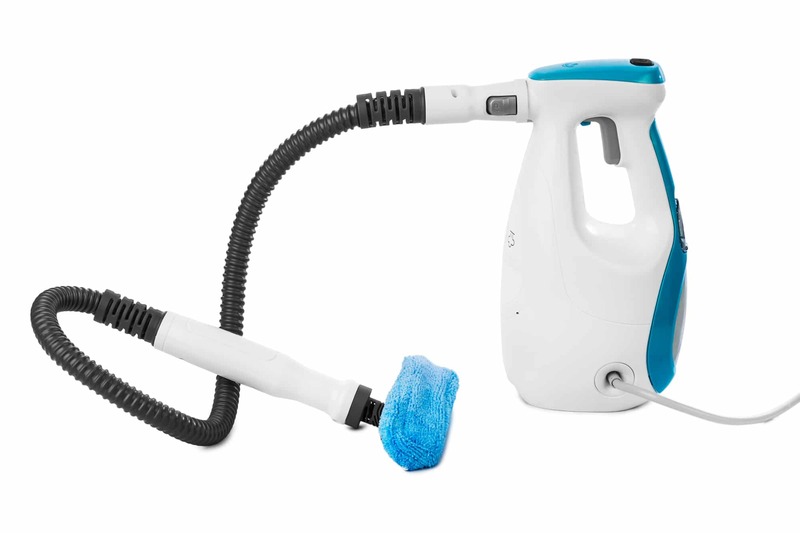 It comes in a handy spray format which you simply spray under your tongue as and when you need it. Dosing is easy, each spray is the equivalent of 5 mg CBD. For most people, three to four sprays per day sufficed for an overall feeling of enhanced wellbeing. However, if you experience frequent pain, or you are accustomed to higher doses of CBD, you may wish to take it more frequently. 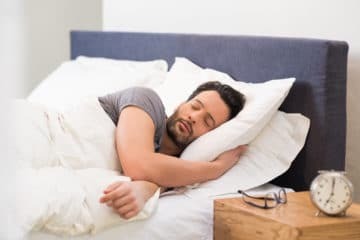 Habitual users noted that you might be better off upgrading to a stronger dosage or ordering several bottles if you need pain relief throughout the day. Importantly, this CBD oil is extracted using a CO2 extraction process, ensuring high levels of purity and eliminating the need for any additives. You’ll be pleased to know this is a full-spectrum oil, so you can benefit from the whole range of natural goodness and useful cannabinoids. Unlike many of its competitors, CBD Life uses medium chain triglyceride (MCT) oil as a carrier oil. Not only does MCT oil contain essential omega fatty acids, but it could also help to balance your hormones, improve your energy levels, boost your immune system and help improve brain function. Another bonus of using this product is that you’ll feel its beneficial effects faster than many others as it’s under tongue spray application gets straight into the bloodstream for a more effective, faster pain-relieving results. We didn’t have any issues with the sprays texture and taste, however, some people complained they didn’t like it. 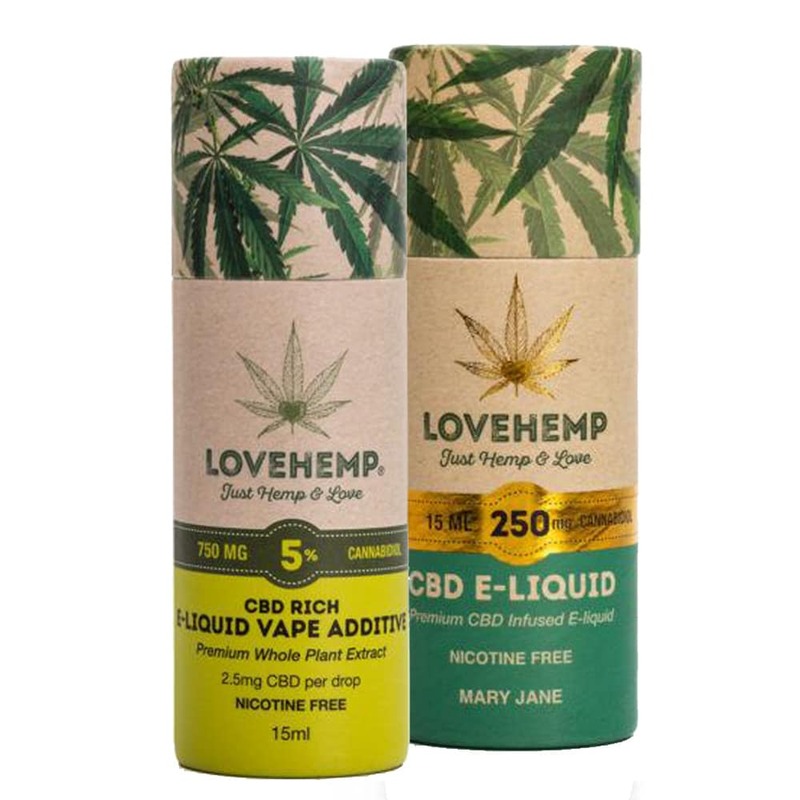 This CBD e-liquid by UK-based company Love Hemp is our e-liquid pick. If you’re looking to try out vaping CBD, then we recommend that you give this product a try. We were impressed with the variety of flavours available, which gives you the choice of Custard Cream, Mary Jane, Blueberry Menthol & Grape flavours. While inhalation is one of the fastest ways to feel the benefits of CBD, it may or may not be for you. Note that you cannot take this product orally or topically, it is for inhalation purposes only. Although its effects can be felt quickly, some people didn’t feel that much of a difference using the 100mg strength, so you may be better off buying the 250mg version. That said, due to its low strength, this e-liquid is the best CBD vape oil in the UK if you’re looking to start vaping CBD. However, if you habitually take CBD via inhalation, you’ll probably want an even stronger product. Finally, we were impressed that Love Hemp uses only certified organic hemp and that they also use the full-spectrum of beneficial plant extracts so you can fully benefit from the combination of natural cannabinoid elements. 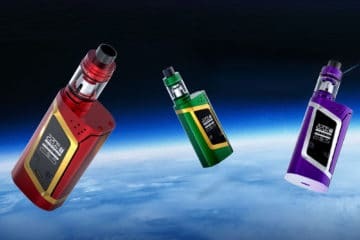 However, for such a high-quality product, we were a little surprised that there are not that many customer feedbacks or information available about this e-liquid. Vsavi Drops are our top budget option. This economically-priced product provides excellent value for money and would be a great choice if you’re looking to start using CBD oil, or you’re an occasional, low-strength user. 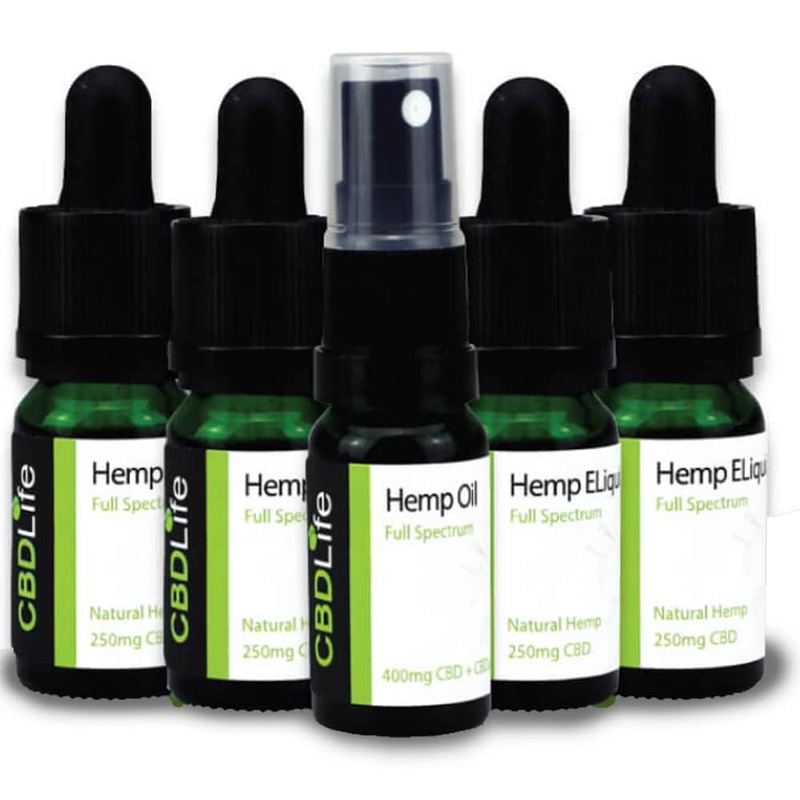 At 50mg/ml CBD, you’ll get 500mg in this 10ml bottle, which is an ideal starting strength. However, if you’re already a habitual user at this strength, you would be better off purchasing another product in a higher concentration. What we really like about this is the fact that the company uses CO2 extraction. This ensures that the end product you receive is high-quality and that no additives or artificial ingredients are required. Furthermore, when you use this, you benefit from the so-called “entourage effect” as all of the nutrients, vitamins, minerals and cannabinoids found in the hemp plant are distilled into the end product. What’s more, all of this goodness and the active ingredients are stored in a high-grade 100% organic olive oil. This is great news as it’s not only a pure and natural ingredient, but olive oil also maintains the quality of the CBD active ingredients over a long time span. So you can enjoy this product with the confidence that it will last a long time and hold its effectiveness. While this natural, unflavoured CBD oil may not be to everyone’s taste, we were really pleased with its multi-use aspect. You can either take it as drop under the tongue, apply it topically, or warm up a small quantity between your hands and apply it on your skin as you massage yourself. 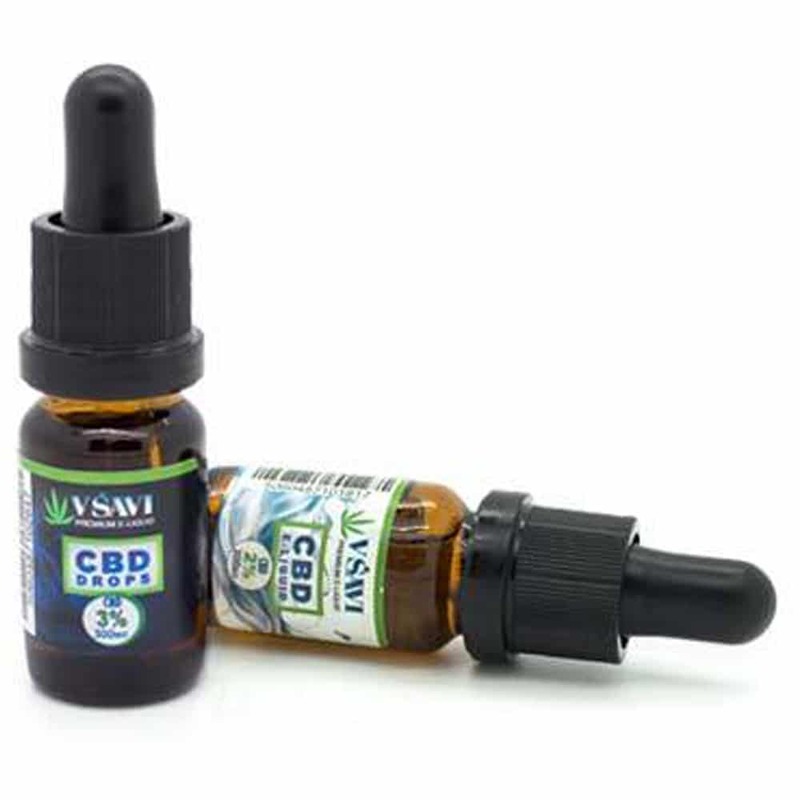 On that basis, Vsavi really is an excellent starter CBD oil, allowing you to experiment without spending a lot of money upfront. All in all, we were impressed with this CBD oil. 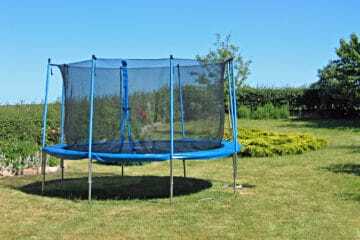 It’s a great choice for regular users and new converts alike, at a moderate strength and a hard to beat the price. CBD stands for ‘Cannabidiol’ – which is one of the active chemical compounds found within Cannabis. This compound doesn’t have any psychoactive effects, so it will not make you ‘high’ or ‘stoned’. The psychoactive effects are caused by another compound called Tetrahydrocannabinol or ‘THC’. CBD oil is made by extracting the compound from Cannabis Sativa hemp plants and then mixing it with a carrier oil to dilute the strength. This can be done cheaply by way of solvents and potentially harmful chemicals, but high-quality oils are extracted using ‘supercritical CO2 extraction’. This process involves using pressurized carbon dioxide under very cold temperatures to extract CBD while preserving its integrity and purity. CBD Oil is becoming more and more popular throughout the UK due to its reported health-boosting qualities. 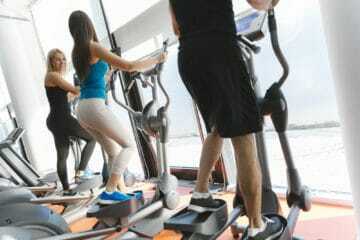 In this section, we take a look at some of the well-researched benefits of using it. 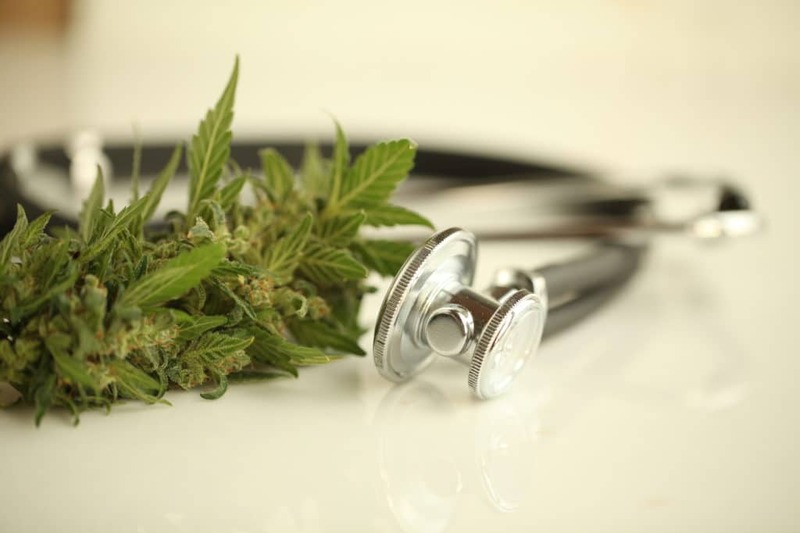 CBD is believed to interact with special receptors within the brain and the immune system to create an anti-inflammatory and painkilling effect. As a result, more people are trying CBD products as an alternative to traditional chronic pain medication and clinical studies have backed up its effectiveness. A 2006 study found that CBD is useful for the management of long-term pain and doesn’t present harmful side effects. Another study found that CBD helps to limit pain and spasmodic episodes in those suffering from multiple sclerosis. Anxiety and depression are extremely common disorders which can significantly impact the quality of life. 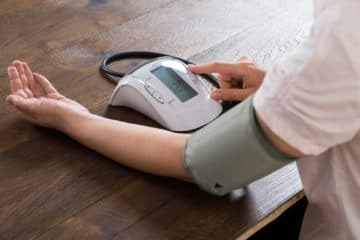 These disorders are often treated with medications which can be addictive and result in unpleasant side effects such as drowsiness, weight gain and fatigue, among others. Several studies have shown that CBD oil to be beneficial in the treatment of anxiety and depression. 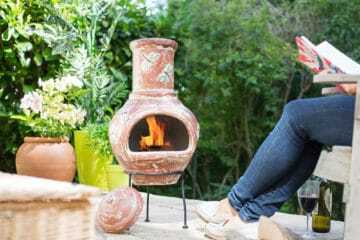 It is believed that it interacts with the brain to affect how it reacts to serotonin – the neurotransmitter which is responsible for our moods. A study conducted in 2011 found that CBD drastically improved the level of anxiety and upset felt during a public speaking test; while another study from 2010 concluded that it has measurable antidepressant qualities. Consumption of CBD is also thought to have beneficial effects for those who suffer from neurodegenerative diseases and disorders. Research has been carried out which suggests the use of CBD could be helpful for diseases like Multiple Sclerosis, Parkinson’s and Alzheimer’s. 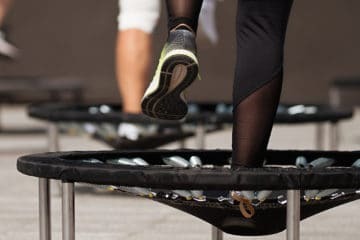 Not only can it reduce inflammation and pain, but it also appears to slow the progression of some neurological disorders. More research is required, but what has been seen so far is very promising. Taking CBD products orally is usually the ideal way to start if you are a beginner. You can either drop/spray the oil into your mouth or place some drops in water and drink it. However, some people find that the taste isn’t appealing enough to take the oil this way, especially if it is unflavoured. If you are sensitive to the taste, you can try mixing it into drinks or food. 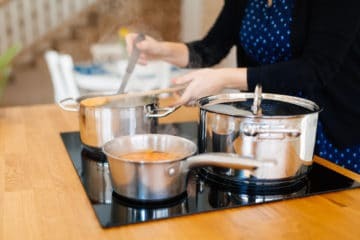 Try adding CBD oil to your next soup maker recipe. 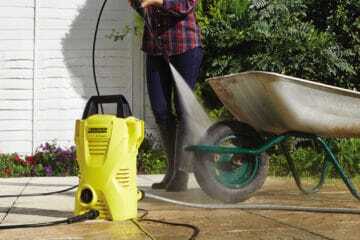 You can also turn on your one cup kettle and add a few drops when you make your coffee or tea. That said, no matter which way you ingest it, the oral method takes the longest time before you feel the benefits. This is because the oil has to reach your intestines before it is absorbed into your bloodstream – which can take up to 2 hours. Nevertheless, once it reaches your blood, the effects will last for a long time before wearing off. Taking CBD oil ‘sublingually’ simply means that you drop the oil under your tongue, instead of swallowing it. This is a much more rapid way of absorbing CBD when compared to ingesting it. That’s because enzymes in your saliva break down the oil and accelerate its absorption into your bloodstream. You don’t need to have drops to take CBD sublingually. Sprays will work just as well. All you need to do is lift your tongue, apply the oil and then keep it in place for 2 minutes. Generally, the effects of taking it this way are felt very quickly and will wear off after a few hours. By far the quickest way to enjoy the benefits of CBD oil is by inhalation with a vaporizer. This method allows the CBD to enter the bloodstream immediately, so you can enjoy the effects right away. 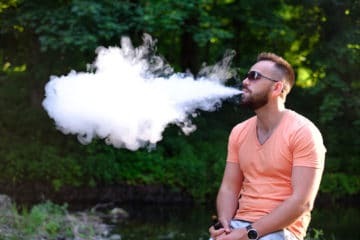 No matter what you do, never attempt to vape standard CBD oils. These do not have the correct consistency or formulation to be vaped. You should only use specifically formulated vape oils in your vaporizer. With that in mind, if you’re a complete newcomer to CBD oil or vaping, it is probably better if you start off with another method until you are more experienced with your dosage. An important consideration when purchasing CBD oil is the method used to extract it. 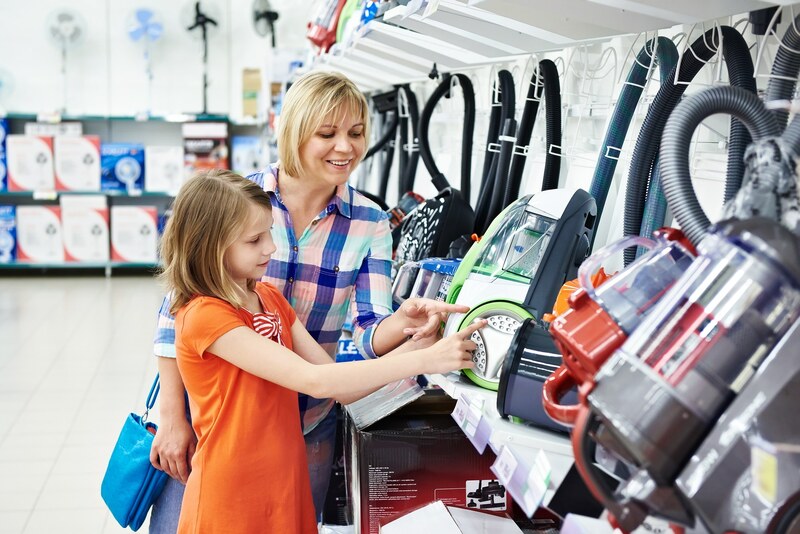 Very often, you will be able to locate this information on the manufacturer’s website, but this isn’t always the case. Sometimes, you’ll need to do deeper research or contact customer services to find out. The method of extraction is important because it significantly impacts the quality and purity of the resulting oil, which then contributes to its overall effectiveness. By far the most efficient method of extraction is ‘supercritical CO2 extraction’. When looking for a CBD oil that is worth your money, you should choose one which has been made using this method to ensure high-quality. Another feature to look for is whether or not a CBD has been made from the whole plant. Whole plant or ‘full-spectrum’ oils include much more than just CBD. They also contain a wide range of beneficial compounds such as flavonoids and terpenes which offer an extra health boost. It should be clear on the label whether or not the CBD oil is a full-spectrum oil or not. If it isn’t, you can look on their website or contact the CBD oil manufacturer’s UK office directly. Good quality CBD oil manufacturers will be transparent regarding their methods. This means you should be able to view the independently conducted lab results for each of their products. Being able to clearly see the results for yourself means you can verify the claims made by the manufacturer, ensuring you’re getting what you expected. The best CBD oils will show a high concentration of CBD, accompanied by low THC levels and minimal impurities. The very fact that a company is willing to show you these results is encouraging, but you should take the time to look over them regardless. Again, this information is usually on the manufacturer website, but may also be included on or inside the packaging itself. Yes, CBD oil is now legal in the UK – so long as it contains NO THC. THC is still considered to be a drug and is a controlled substance, whether it is in oil form or not. It is illegal to possess or supply any cannabis product which is found to contain THC – unless it meets ‘exempt product’ criteria. 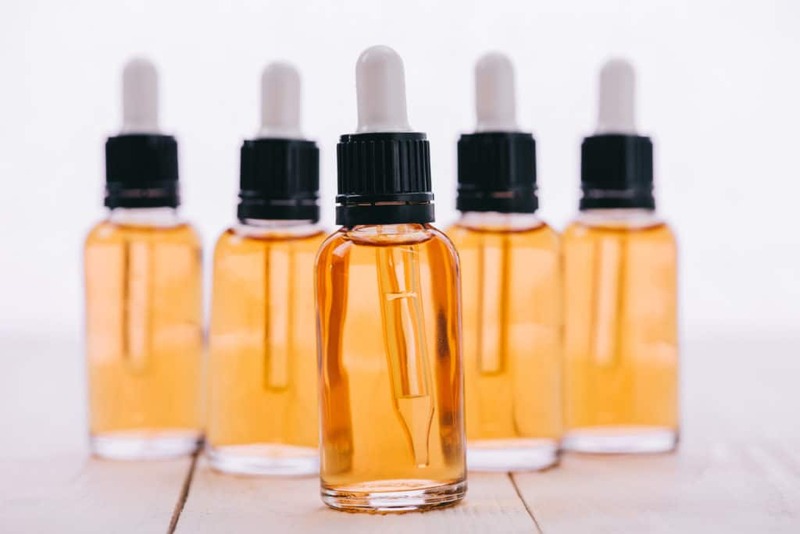 Because CBD oil products are becoming more popular in the UK, it is now not uncommon to see them being sold in well-known health food stores and some supermarkets. 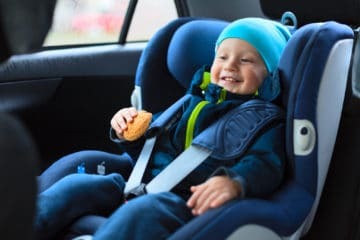 That said, the quality of these products varies and if you don’t know what you’re looking for, it can be easy to buy something which is unlikely to have any effect. Some CBD products may have low active ingredient concentrations, or they may be diluted among extracts which have no real benefits. If you want to buy CBD oil in the store, it is better to go to a reputable chain and ask for advice from customer services before purchasing. Alternatively, you could buy one of our top 7 CBD oils online from the reputable websites linked above. All of the CBD oils that we have reviewed above are high-quality choices in an increasingly crowded market. But if we had to pick an overall winner, it would have to be the Love CBD Oil. 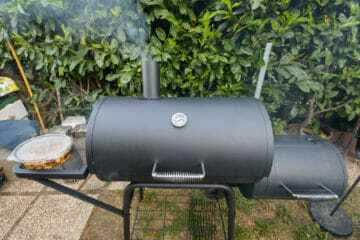 It may be expensive at first glance, but the old adage “you get what you pay for” is certainly true with this product. The tried and tested formula is extremely easy to use, delivering a smooth 16mg dose of CBD per spray under your tongue. The formula absorbs rapidly so you will feel the benefits quickly and it is available in a much larger bottle than any of its competitors. 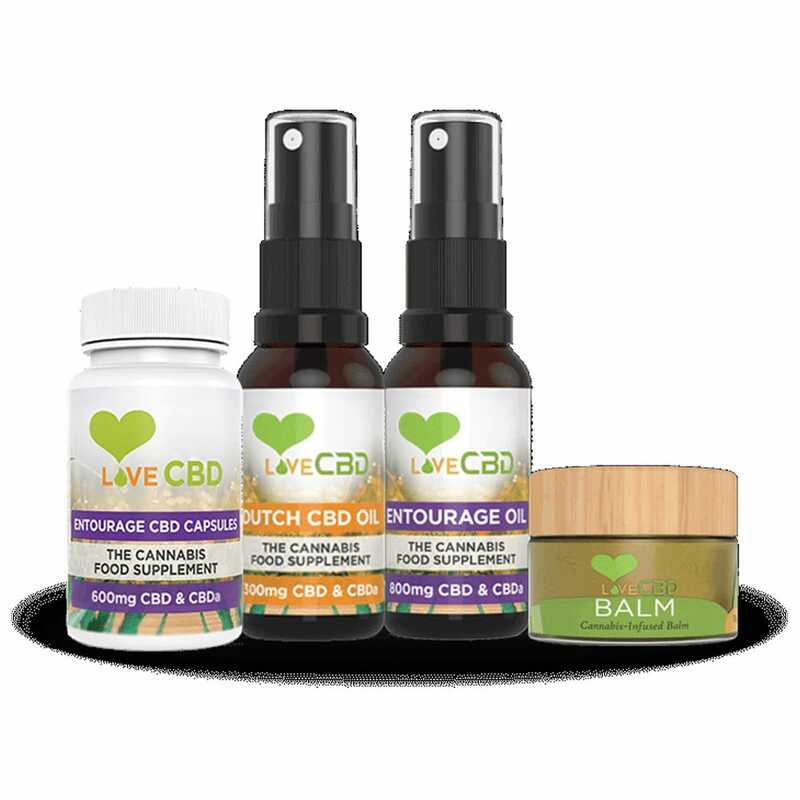 Suitable for both new and seasoned CBD oil users, we were also impressed that Love CBD Oil offers a high-quality ‘full-spectrum’ formula created using the entire cannabis plant. This ensures that you get the full range of beneficial cannabinoids and terpenes with each dose, maximizing its effectiveness in relieving a variety of symptoms and disorders. In summary, if you want to try CBD oil for any reason, we believe Love CBD Oil is truly the best CBD oil in the UK market when it comes to quality and value for money.